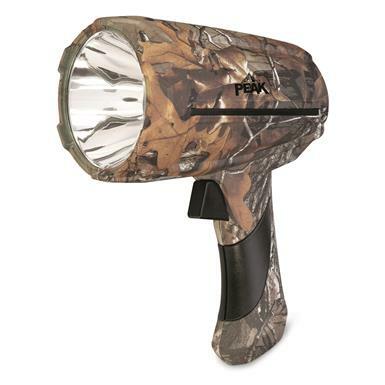 Grab an easy-to-carry light cannon—the PEAK® 230-lumen LED Spotlight. It delivers a high intensity beam wherever your outdoor needs take you. Lightweight and easy to carry, this lightweight LED Spotlight is FL-1 rated for lumens and runtime. Get up to 3.5 hours of clear, continuous light off of 4 AA batteries.